Stand-out performers at this years inaugural Dig it Up! Invitational, Redd Kross return to Australia this March as guests of the Golden Plains Festival, Dinosaur Jr and for a headline show of their own. Earlier this year, Redd Kross also delivered Researching The Blues, their first album in fifteen years, it contains all the punch of earlier classics: Born Innocent, Neurotica and Third Eye with added ‘power’ as so promised in the genre classification. The shows with Dinosaur Jr are a tag team made in heaven! (or a record store clerks ipod…) J Mascis crunching rhythms and melancholic melodies shaking hands with Redd Kross and their joyous odes to rock ‘n’ roll’s glorious naivety. 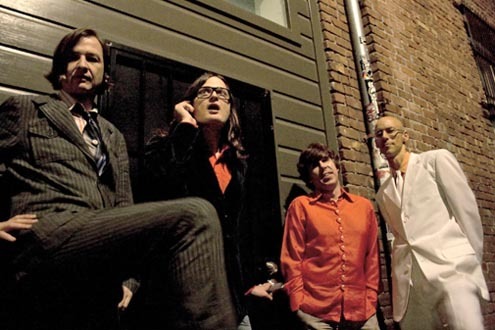 Don’t miss one of rocks great live acts, Redd Kross, touring Australia this March. In person at all Moshtix & Oztix outlets.